Interests:Poujadism, the Daily Mail version of history and all matters debased by moderation. Many thanks to Terry and the team for securing the commemoration of Gnr Wilson Anderton so swiftly. It was hoped that a named grave would be secured for Wilson Anderton but, alas, it proved not to be the case. At least now, however, he will be eventually commemorated on the Menin Gate along with his comrades after having disappeared from history for a hundred years. 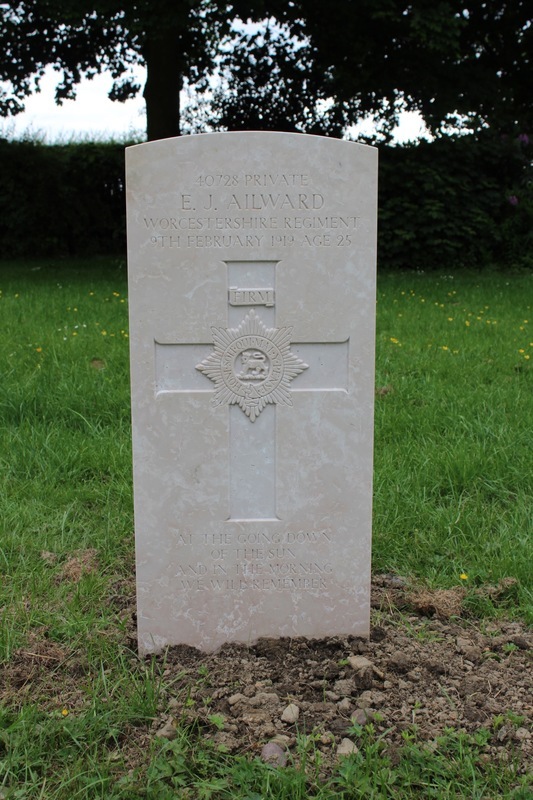 I was so pleased to see that the name of Ernest John Ailward has been added to CWGC today. His name is on the Aylesbury War Memorial and I have been meaning to send in his details for some time but I see that Barbara Grayson has got there first. He is listed in our website and there is extra personal information included. 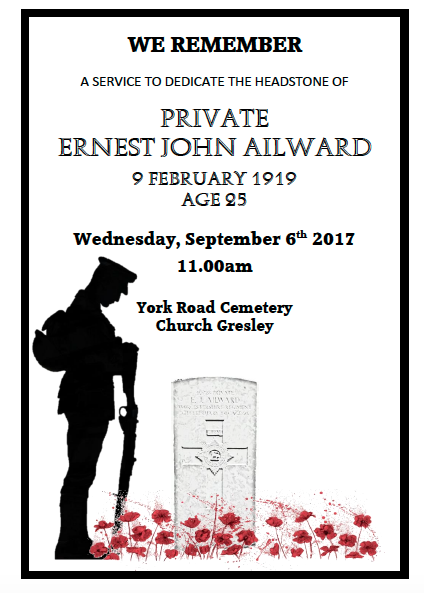 Barbara - I wonder whether you know where Ernest John Ailward was buried and is he listed on a Memorial in Swadlincote? You are on my 'to do' list and I will be in touch soon. I'm wondering if family called EJA 'John' as that is the initial on the Memorial in Aylesbury. Still checking a couple of links but I will get back to you. This casualty has recently been accepted for commemoration, however it will not be possible to add his name to this memorial immediately. Please contact the Commission for more information, before planning a visit. Son of Henry and Jane Ailward of Aylesbury, Bucks; husband of Susan Ann Ailward of Swadlincote, Derbyshire. Recent research has shown that Private Ailward is buried here. The Commission is in the process of seeking permission to erect a war pattern headstone to mark his grave. 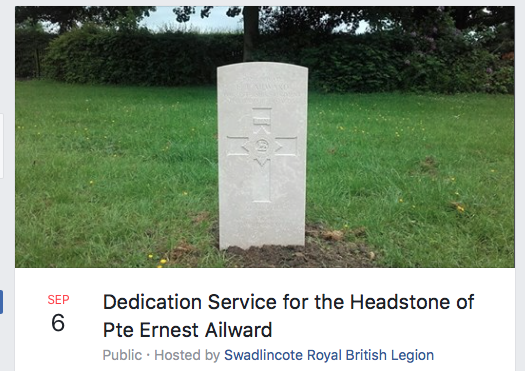 Today we visited Swadlincote Cemetery with E J Ailward's nephew - having heard yesterday that an application had been received from the CWGC for the installation of the memorial. Born in Aylesbury, Buckinghamshire Ernest John enlisted in the Oxfordshire & Buckinghamshire Light Infantry. He was first wounded in 1916. Commemoration moved to Stapleford Cemetery, Notts. He is to receive a CWGC headstone.